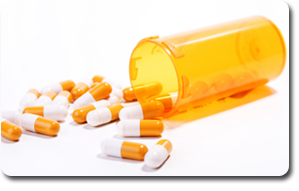 The diabetes drug Actos (pioglitazone) has been linked to an increased risk of bladder cancer. France and Germany have banned the prescription of pioglitazone due to the potential danger and the FDA has released a safety announcement regarding the risk while they conclude an analysis of the available science. Actos (pioglitazone) is an oral drug approved by the FDA in 1999 for the treatment of type 2 diabetes. Along with diet and exercise, Actos helps to improve glycemic control in adults with type 2 diabetes mellitus. Also known as non-insulin-dependent diabetes, type 2 diabetes is a condition in which the body does not properly use insulin, a natural hormone that helps control blood sugar levels in the body. Without normal use of insulin, people with type 2 diabetes are unable to control the amount of sugar in their blood. Actos, manufactured by Takeda Pharmaceuticals, is in a class of drugs called thiazolidinediones which increase the body’s sensitivity to insulin. Another thiazolidinedione, Avandia (rosiglitazone) has been withdrawn from US pharmacies due to serious concerns of heart attacks. Actos can be taken alone or in combination with other diabetes drugs, including metformin. In 2010, Actos ranked number nine in the top 10 selling prescription drugs in the country with sales of $3.5 billion. Actos, known generically as pioglitazone, is in the class of diabetes drugs known as thiazolidinediones. Actos is used to boost the body’s control of glucose in adult patients over the age of 18 who suffer from type 2 diabetes. It is available with prescription in oral (tablet) form in the United States. Warning: Patients with bladder cancer or a history of bladder cancer should not take Actos. Do not take Actos for prolonged periods or longer than recommended, as pioglitazone use for longer than one year can increase the risk of developing bladder cancer. It is ineffective and possibly harmful in diabetes mellitus type 1 and diabetic ketoacidosis. Do not use Actos if you have heart failure or are allergic to pioglitazone or any other thiazolidinediones. Category C, which means there is no controlled data in human pregnancy studies but animal studies have shown an adverse effect on the fetus.